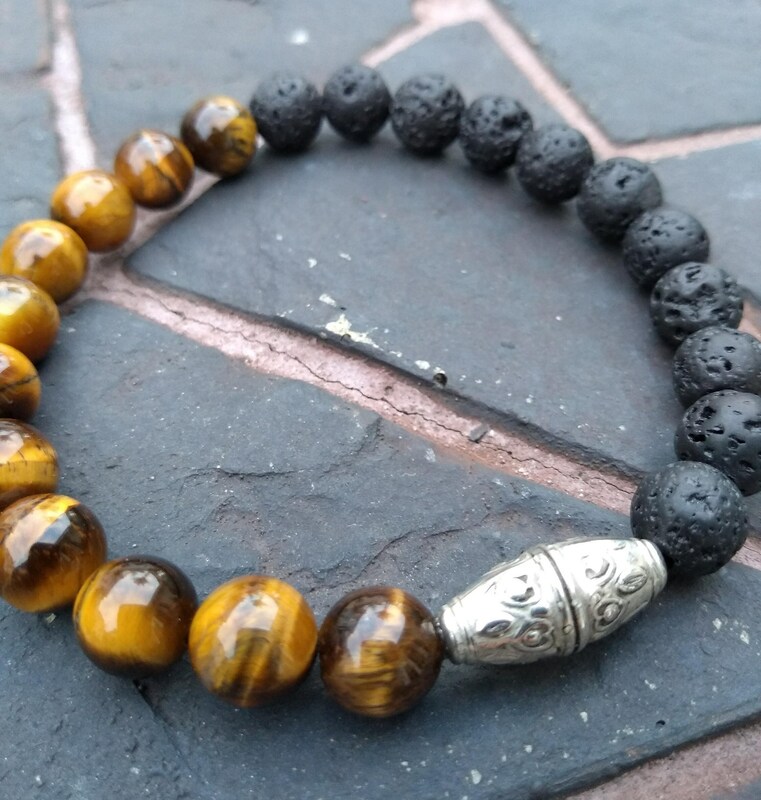 Tigers eye and Lava bead bracelet with vintage silver bead. 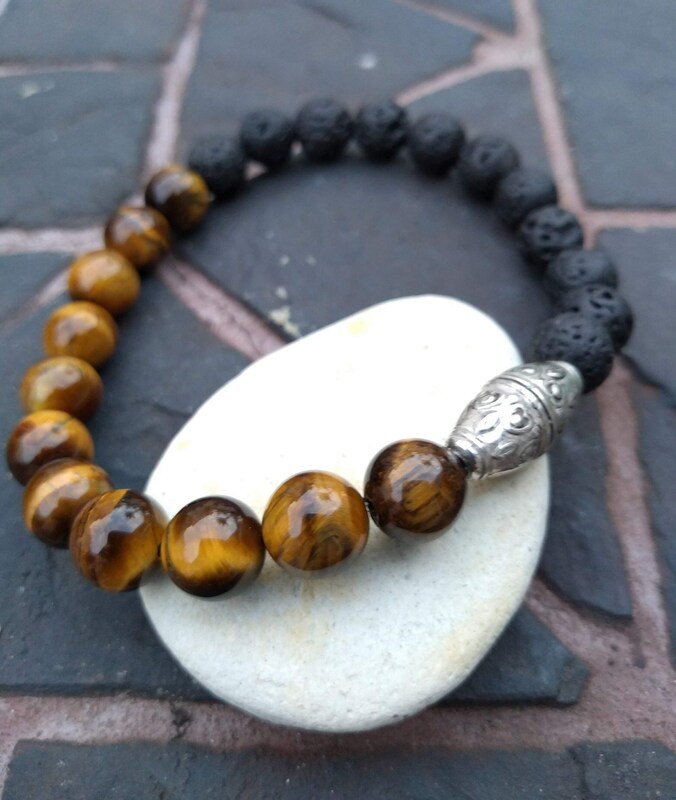 This bracelet looks great stacked with watches and other bracelets or on it's own. Lava beads can also be used as diffusers for essential oils.